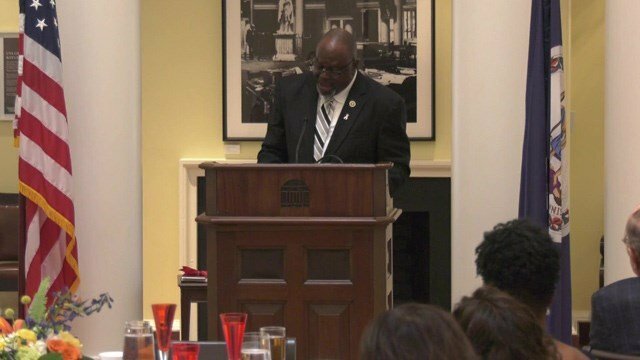 ALBEMARLE COUNTY, Va. (WVIR) - The University of Virginia celebrated Founder’s Day with the Thomas Jefferson Foundation by presenting its highest honors to several leaders. The Jefferson Medals were awarded on Friday to people for their work in architecture, citizen leadership, and law. Federal judge Carlton Reeves says receiving the honor shows how far the university has come in a few decades. Federal judge Carlton Reeves was honored by the university. It’s a custom for the president of UVA and the president of the Thomas Jefferson Foundation to hand out the awards each year to the recipients in honor of Jefferson’s Birthday. Bowman and Ryan will present the medals, struck for the occasion, at a luncheon on April 12 in the Rotunda Dome Room at UVA. The medalists in Architecture and Law will each give a free public lecture at UVA and all medalists will be honored at a formal dinner at Monticello. The Citizen Leadership medalist, Sylvia Earle, will also be the featured keynote speaker at Monticello’s commemoration of Jefferson’s 276th birthday on April 12 at 10 a.m. on the West Lawn of Monticello. The event is free and open to the public, and will also be livestreamed online.